A hoodie which may be worn by the both genders men as well as women is rare to find but when it comes to taking a look at such beauty considering this, The Technomancer Light Up Black Electronic Hoodie is always the best idea to go for. This hoodie has been designed in a very different but stylish way. One may always expect it to be ideal for wearing in the causal times during the winter season. 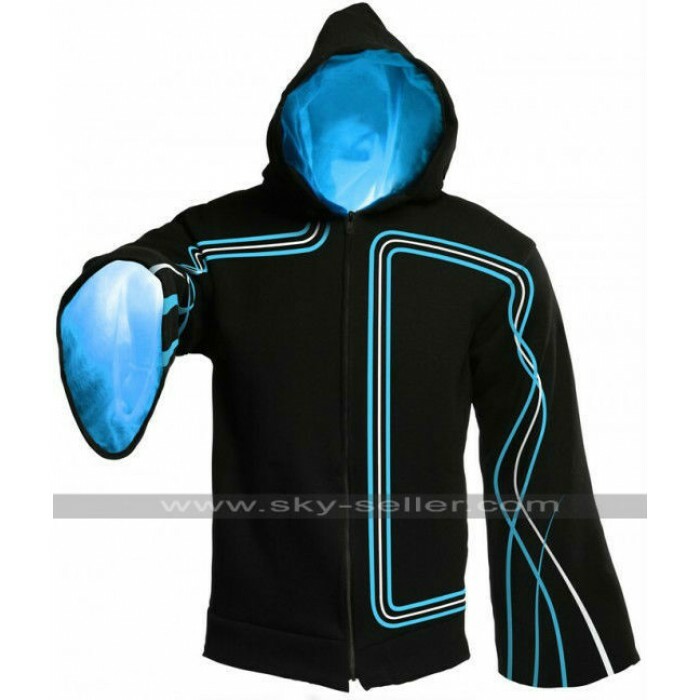 This Light Up hoodie has been made with the choice of genuine leather or the cotton finish, however, there is a black base of this hoodie and there are ferozi lines on one side of the hoodie as well. 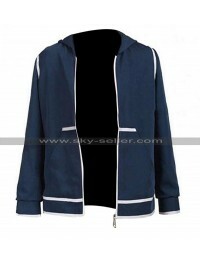 The sleeves of this jacket also have twisted pattern of lines which look attractive. 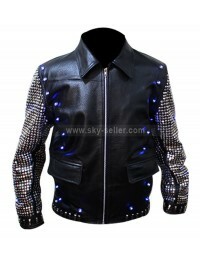 The jacket has blue color LEDs, a front zip closure and a very comfortable viscose inner.